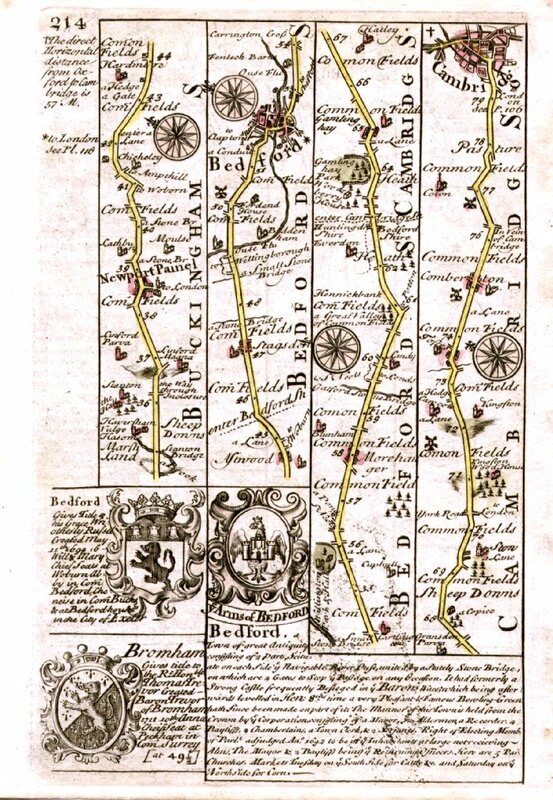 Some maps are printed with another map on the reverse. 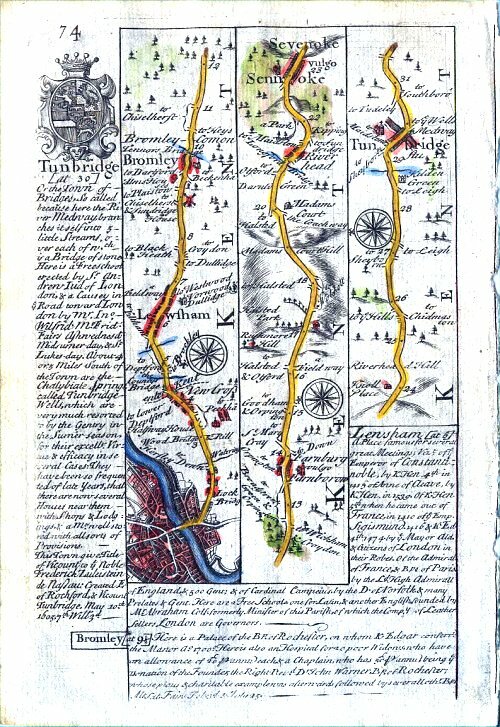 Only one is illustrated on these descriptions. 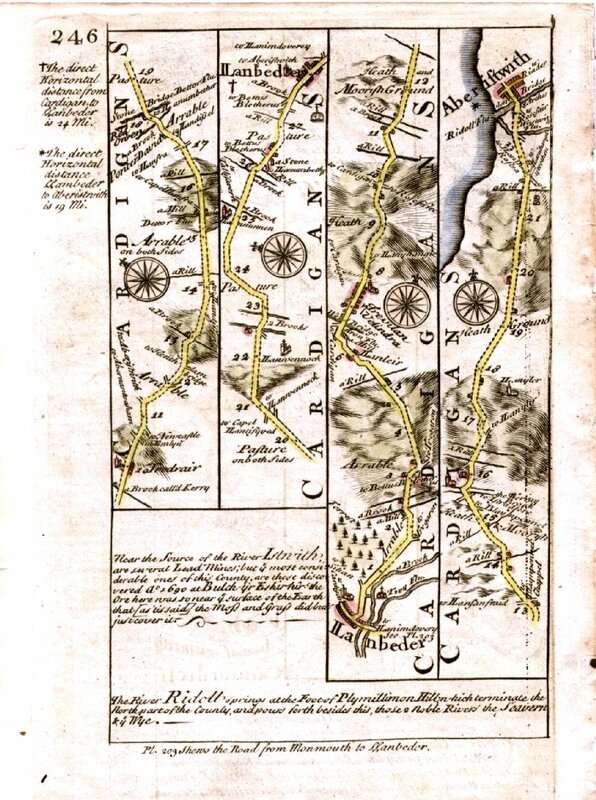 Not all maps are oriented with North facing the top of the page. 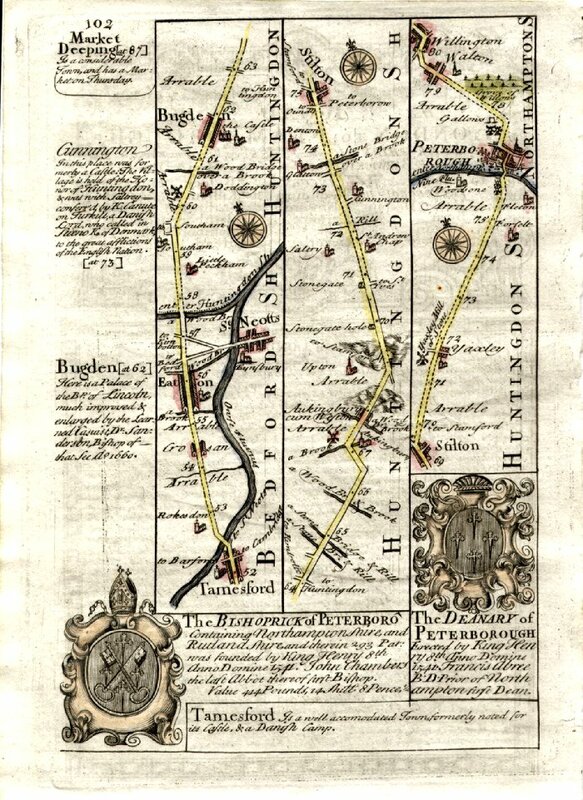 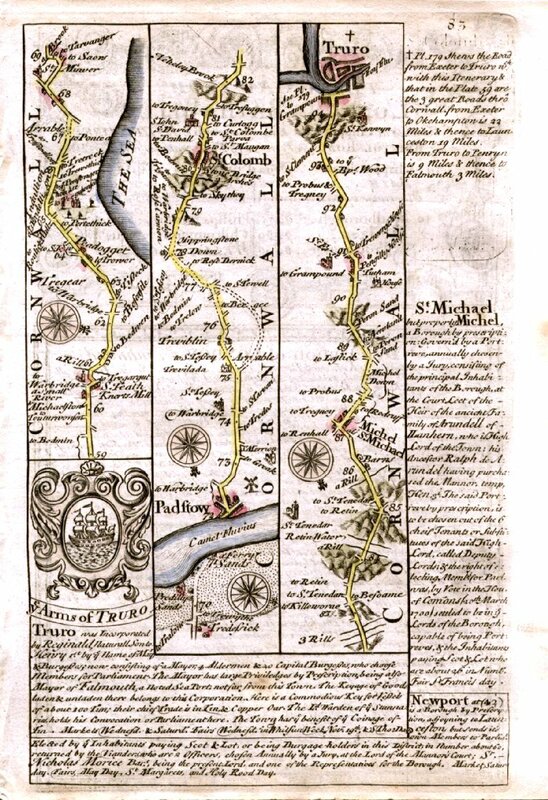 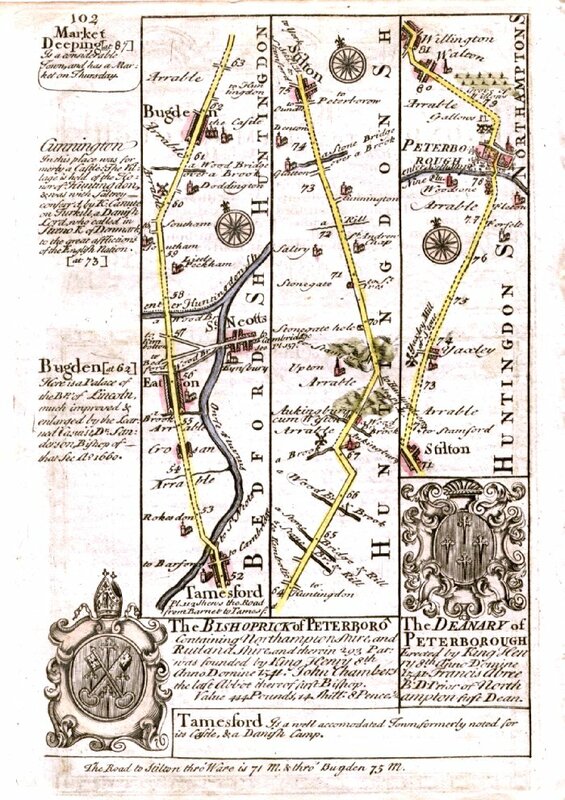 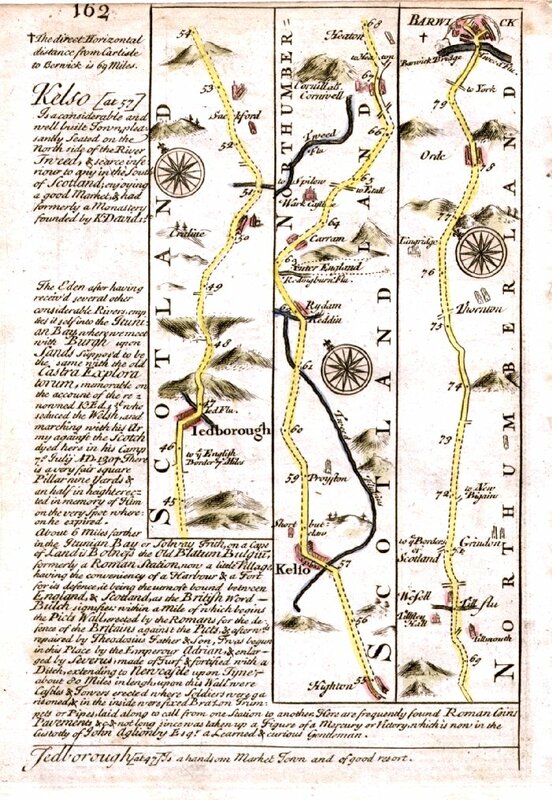 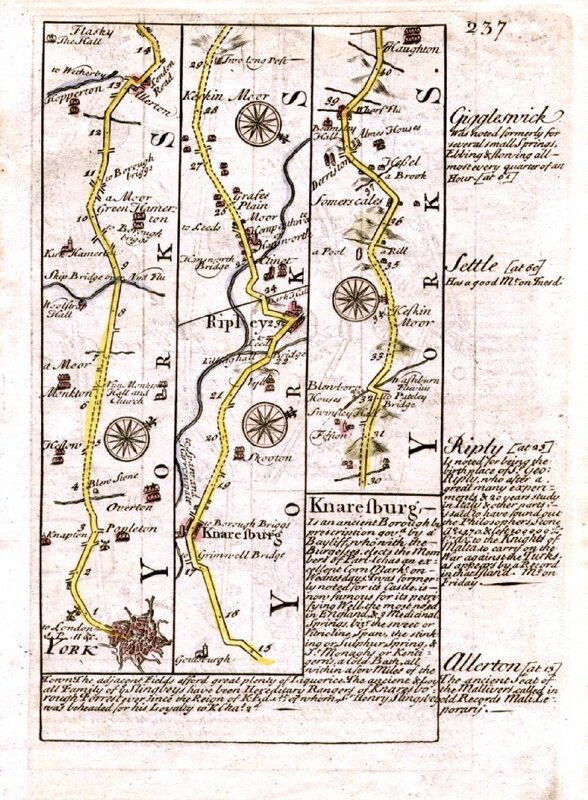 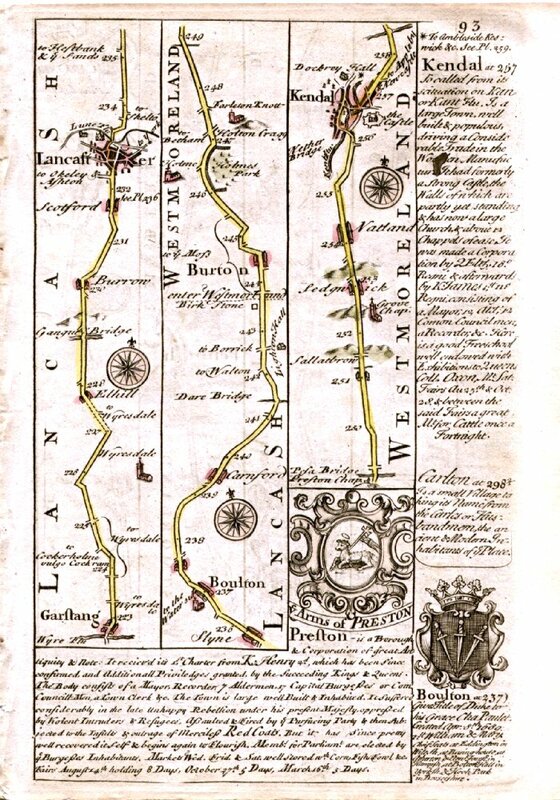 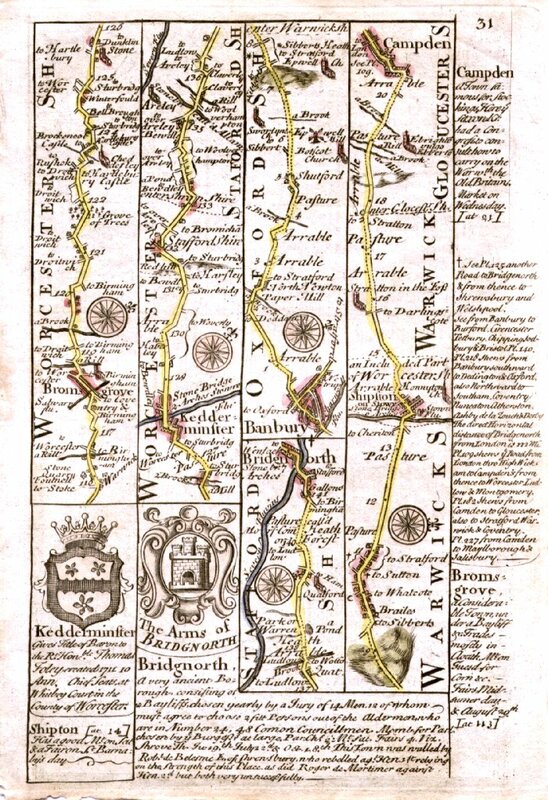 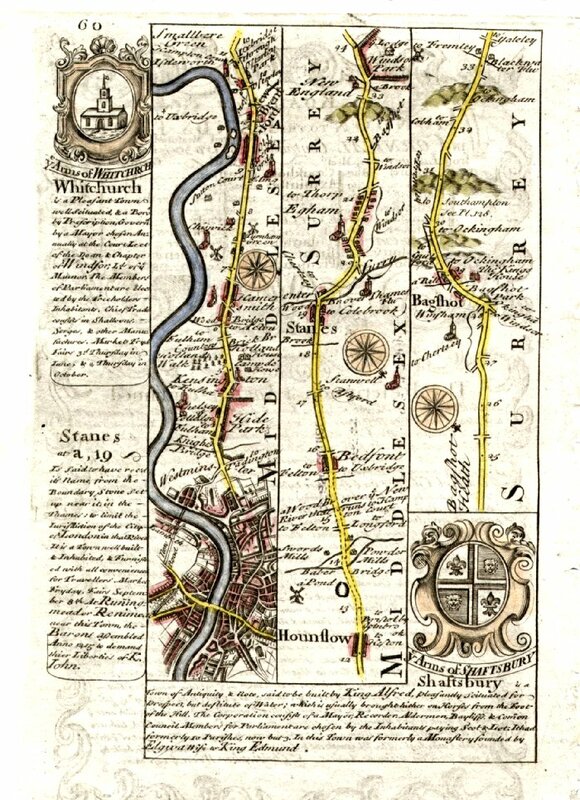 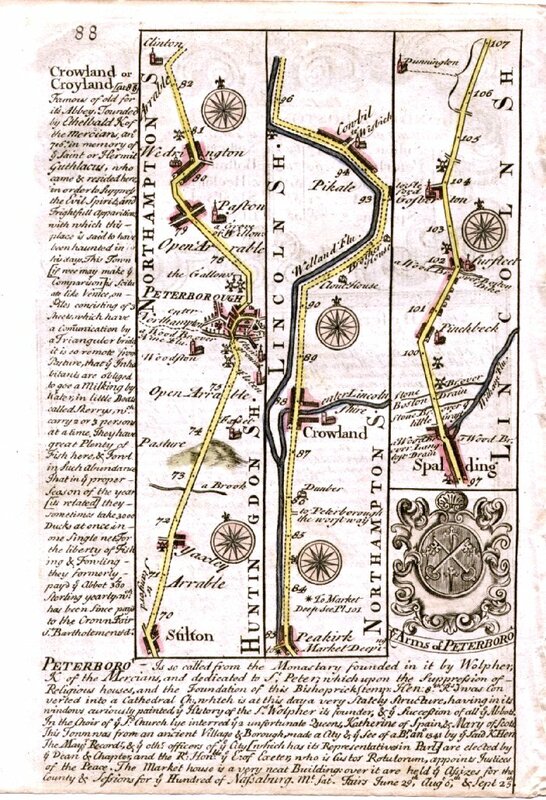 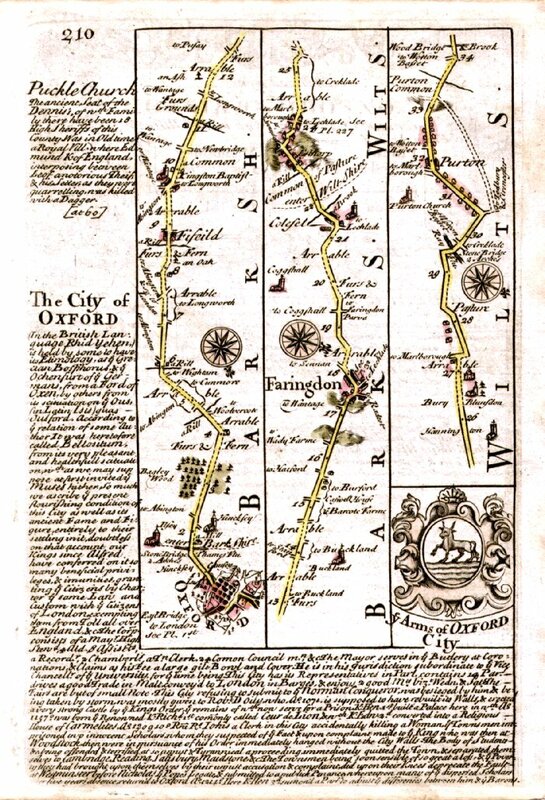 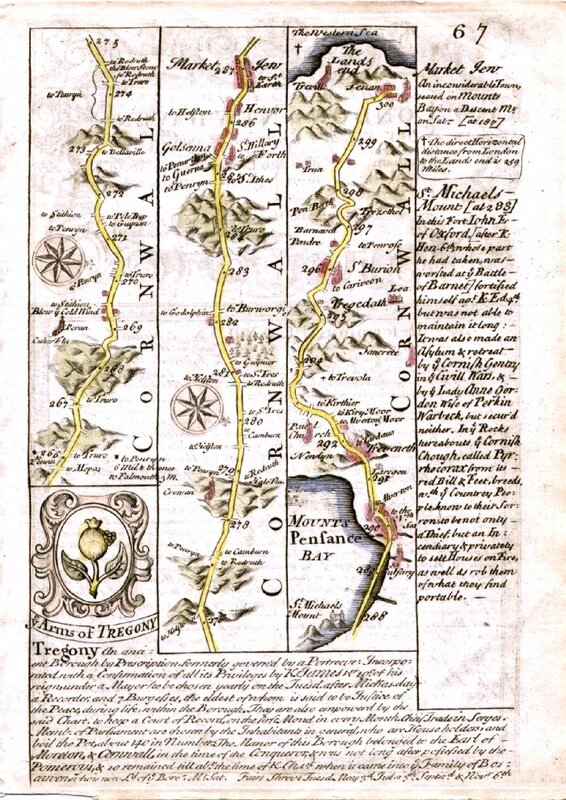 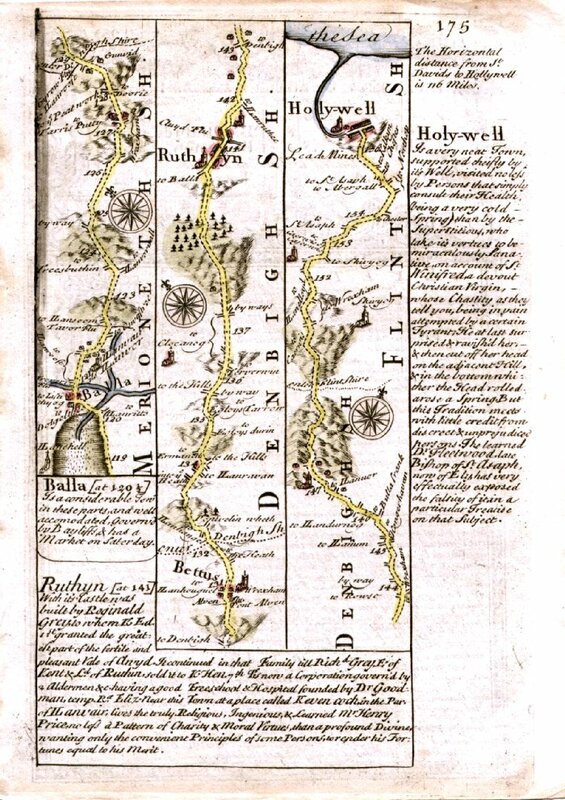 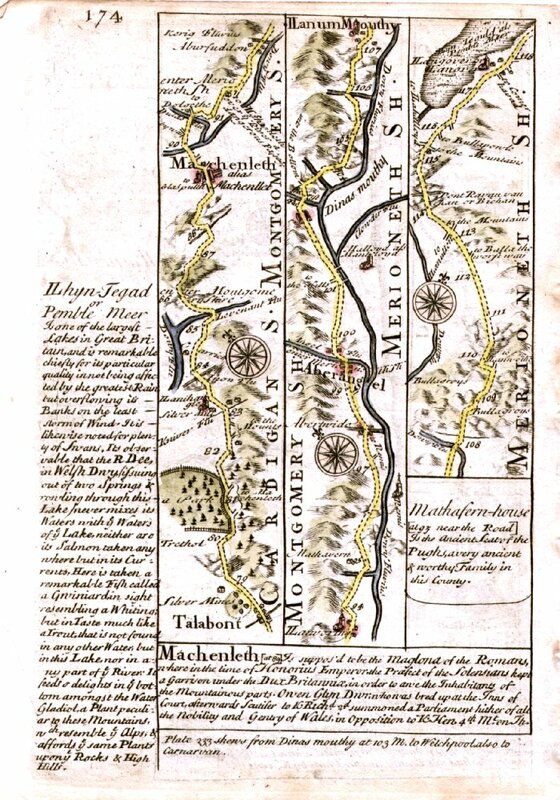 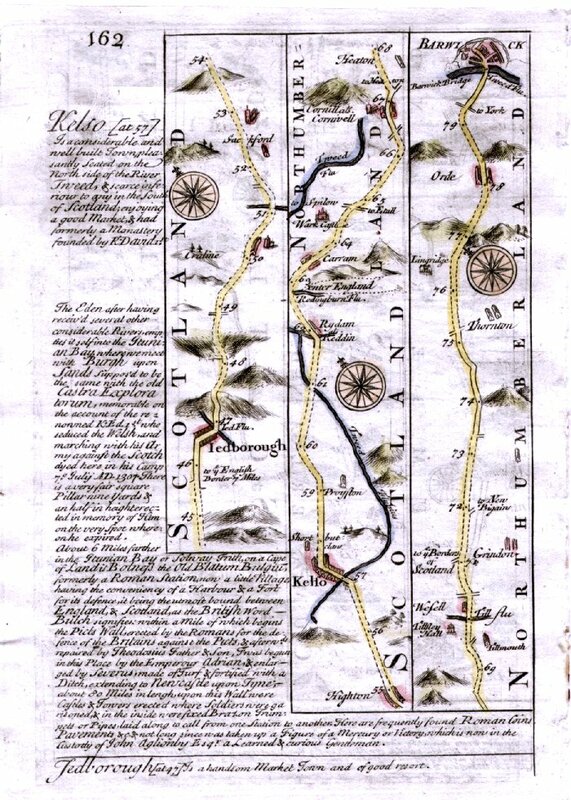 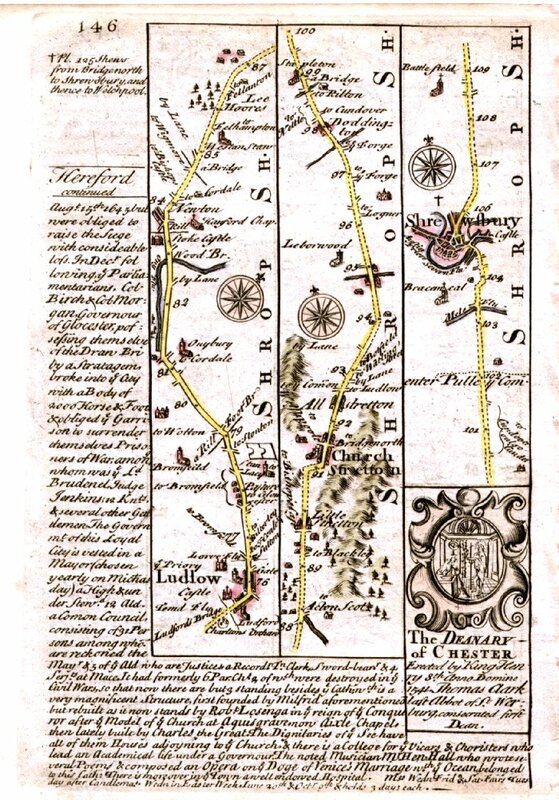 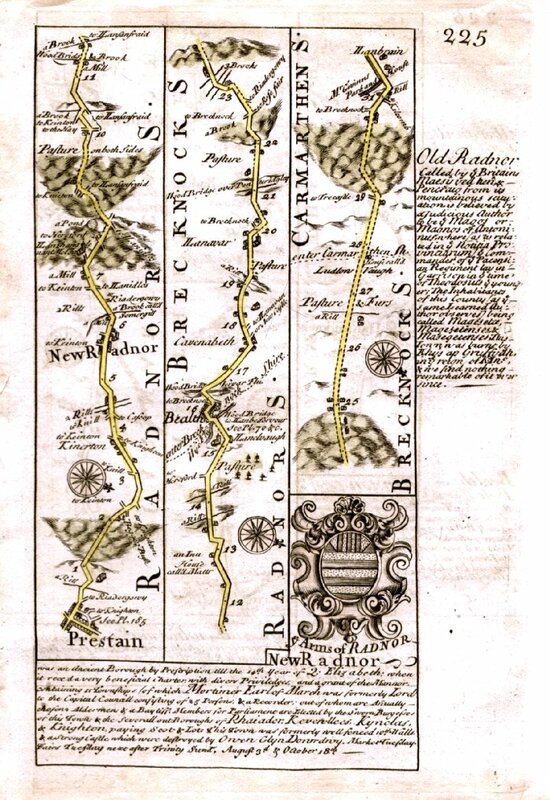 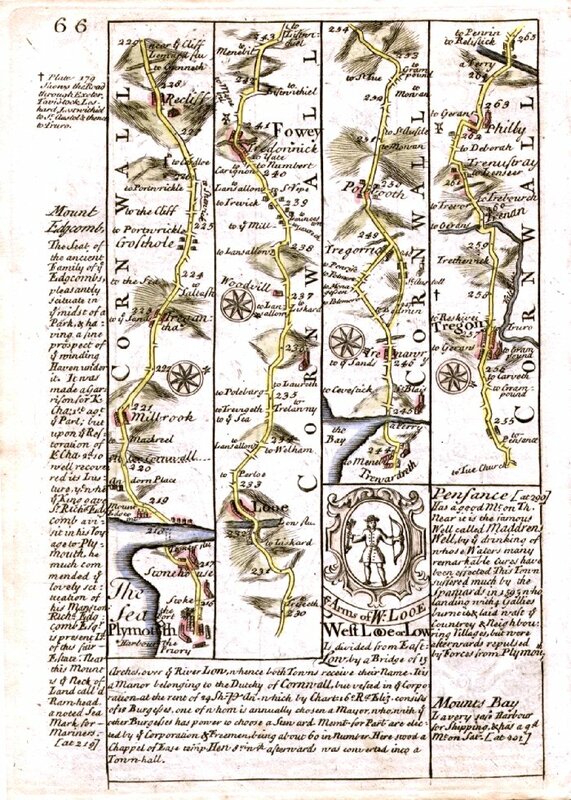 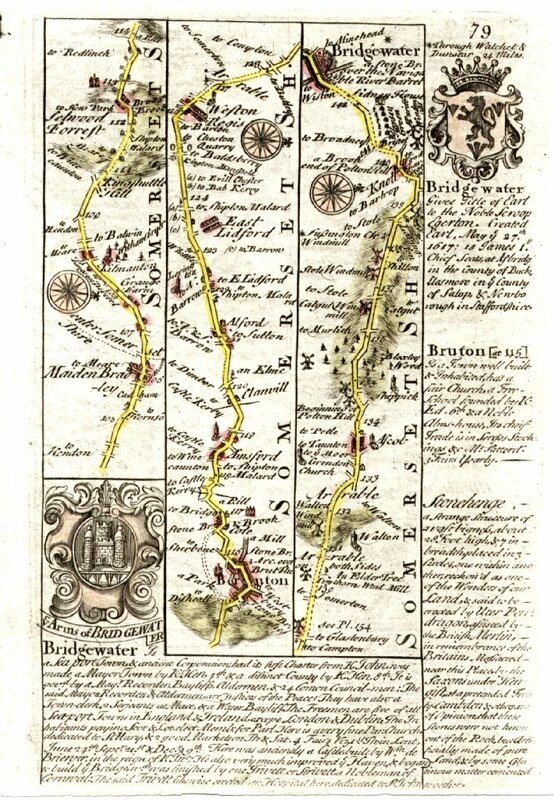 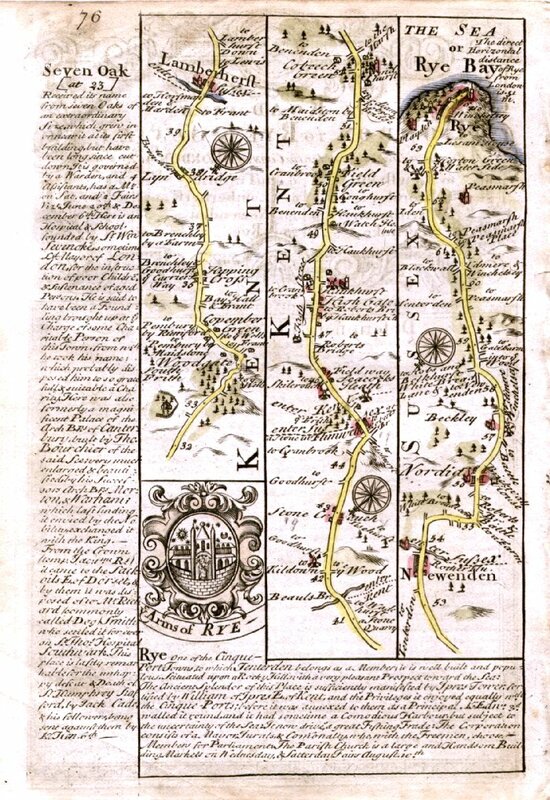 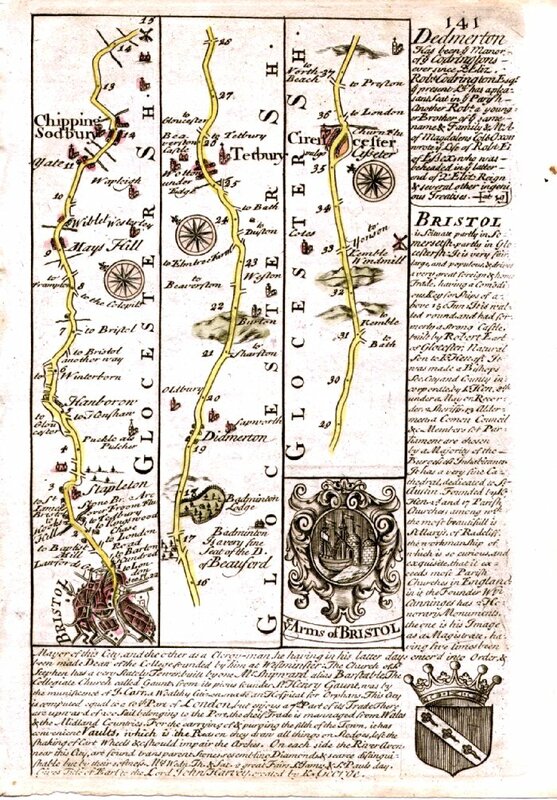 An electronic copy of all 273 Owen-Bowen county maps and road maps from the 1720 edition. 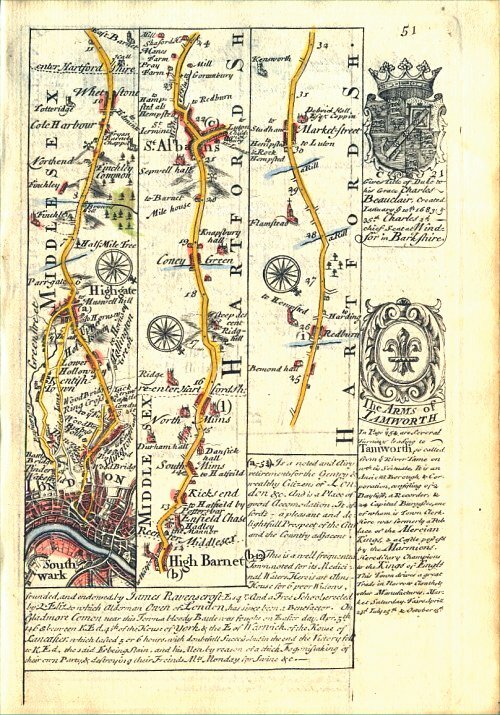 Plus the title page and the four introduction and index pages. 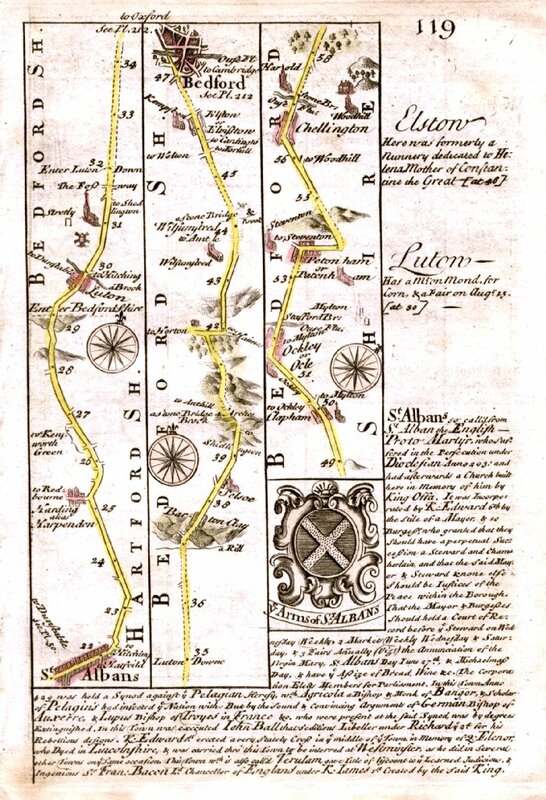 The illustrations are approx 1500 x 2700 pixels (approx 300 pixels per inch). 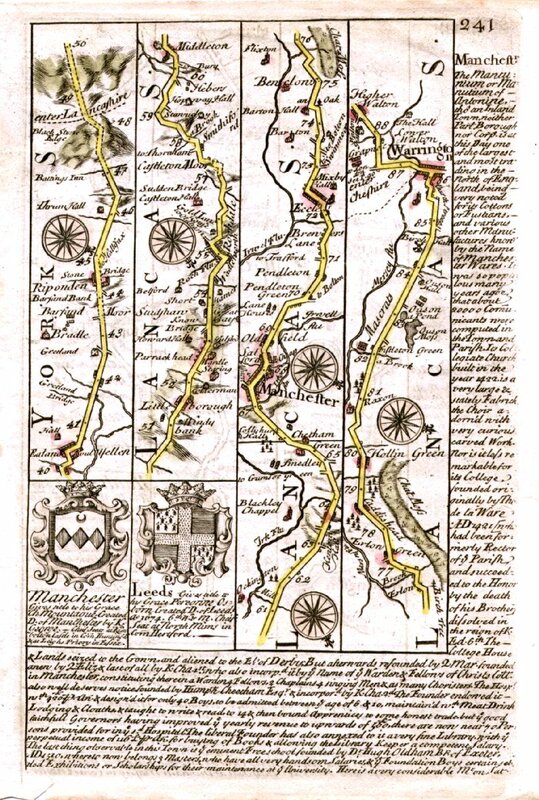 All images are hyperlinked to index pages, and may also be view by any JPEG file viewer. 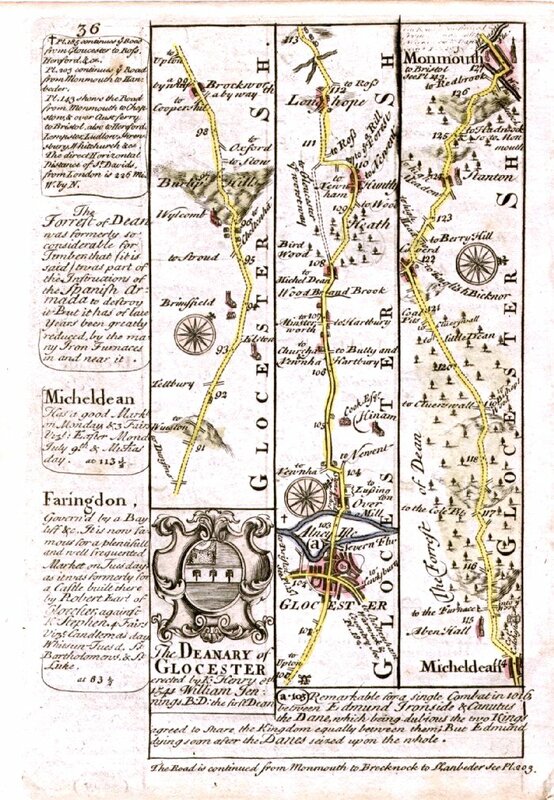 2007 - updated with 1759 edition. 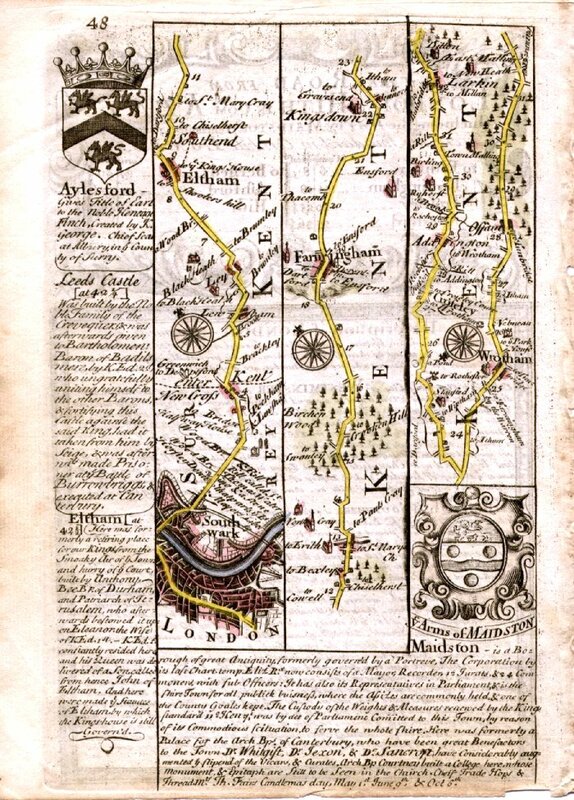 Now 1720 and 1759 editions on the same CD. 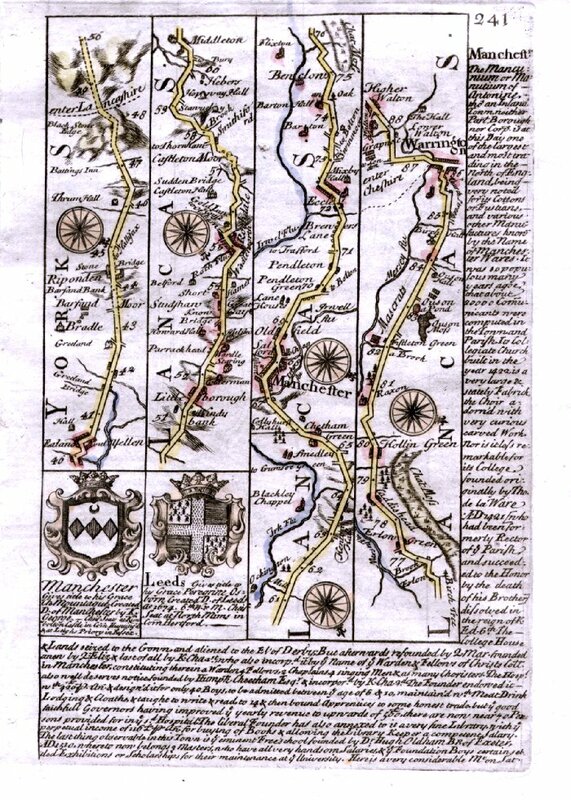 Important: only Page 001 (in Block 1 of 1720) is available as an example of image quality. 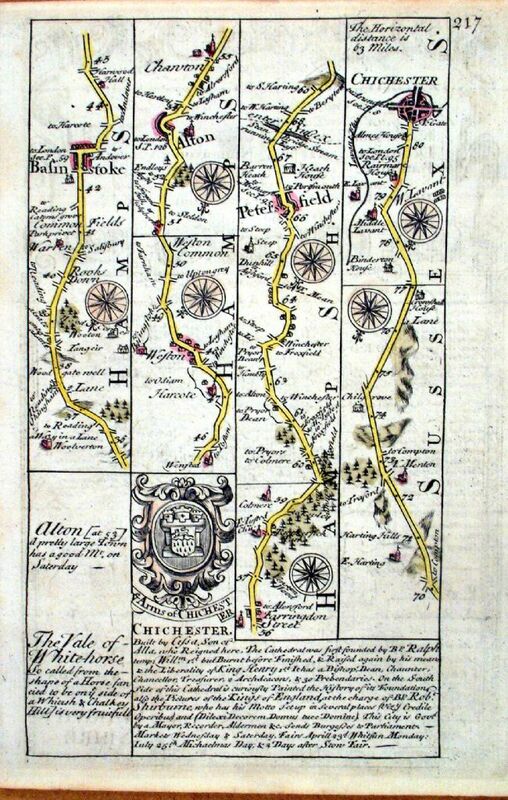 Reverse: the road through Billinshurst, Arundel, Chichester. 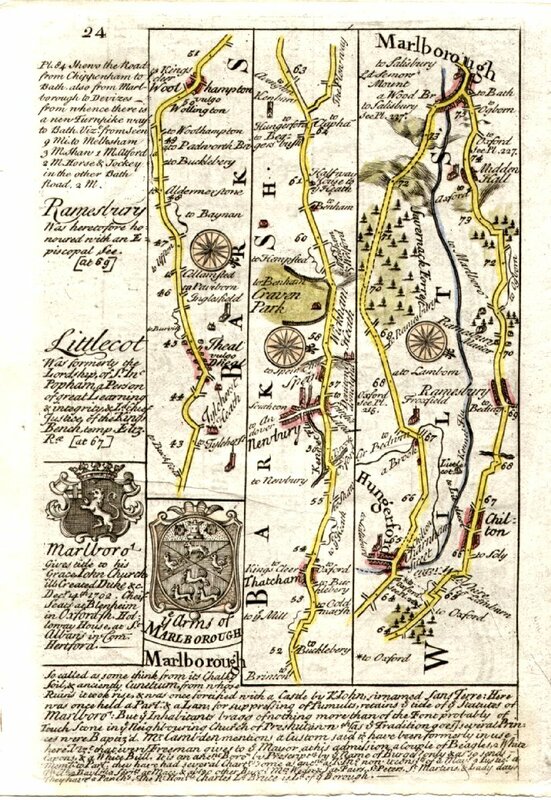 Reverse: Hungerford / Marlborough / Newbury. 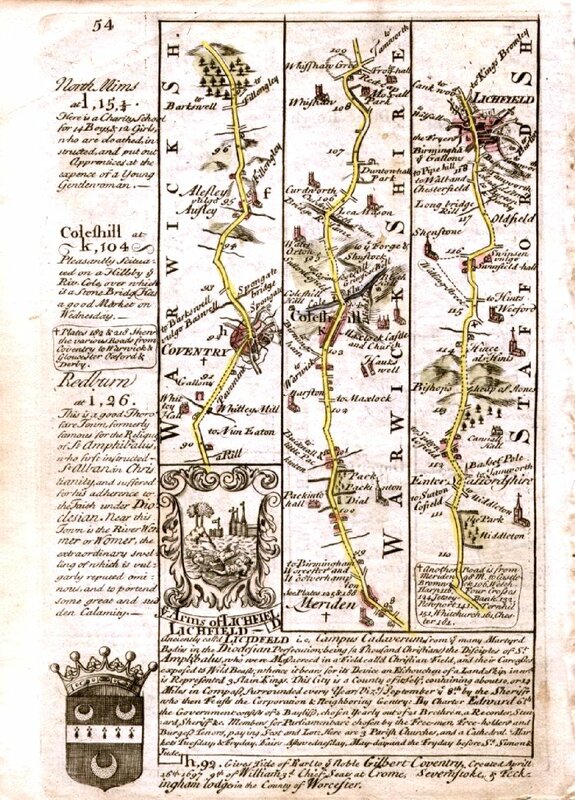 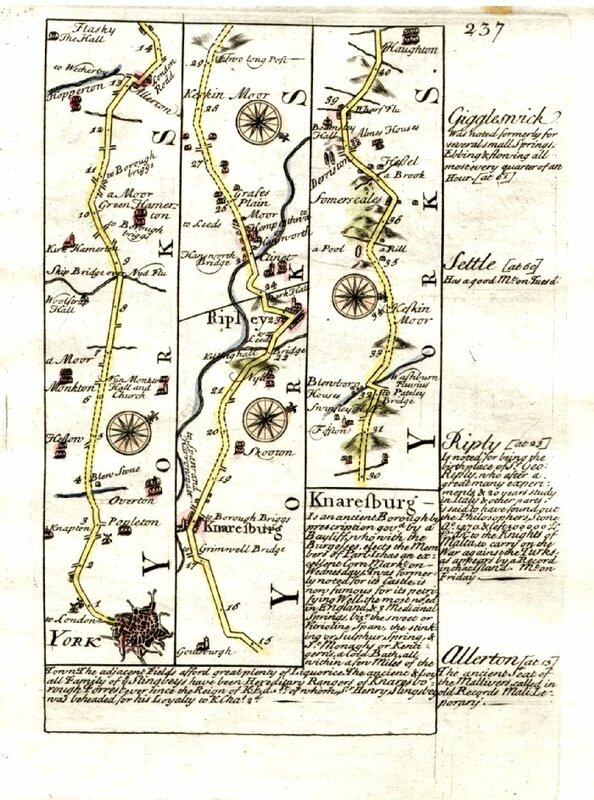 Road map - Marleborough to Theal. 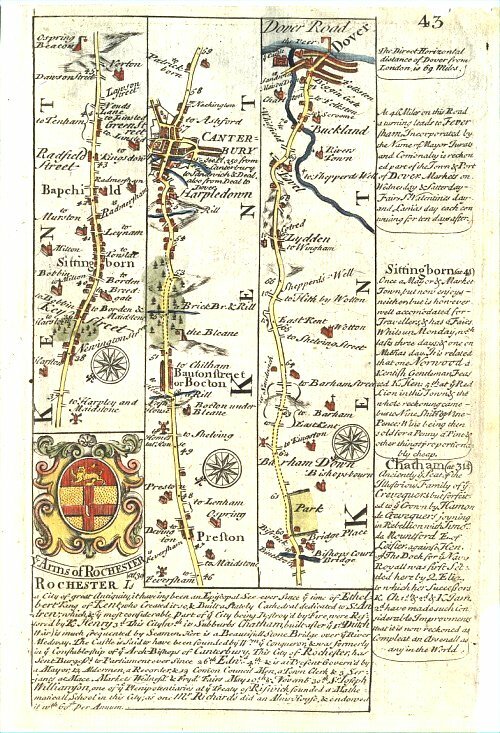 Featuring Sittingborn, Canterbury, Preston, Dover. 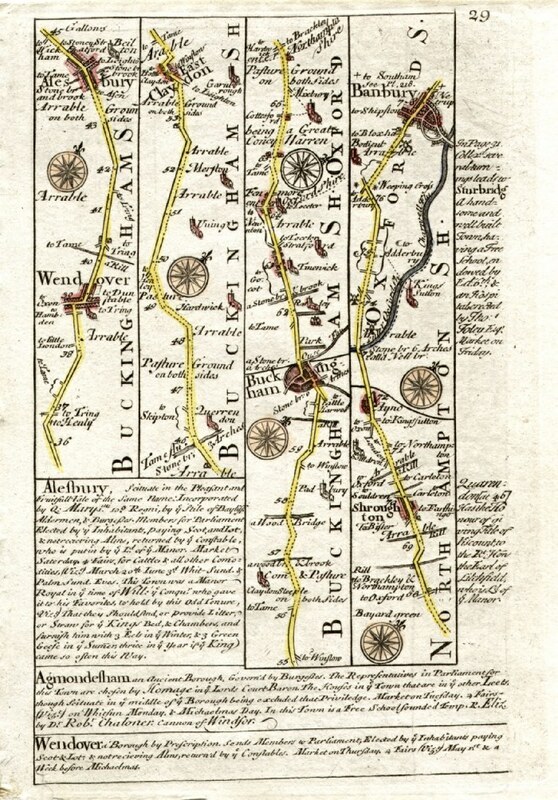 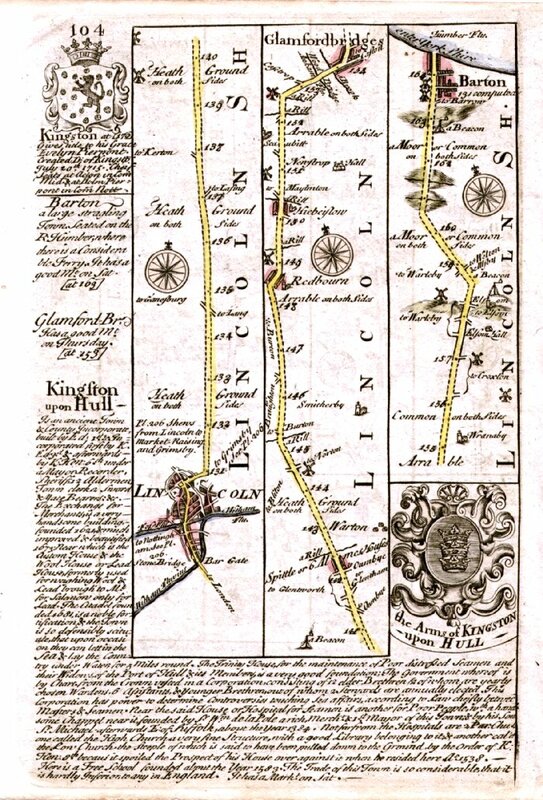 Reverse: description of London to Harwich road. 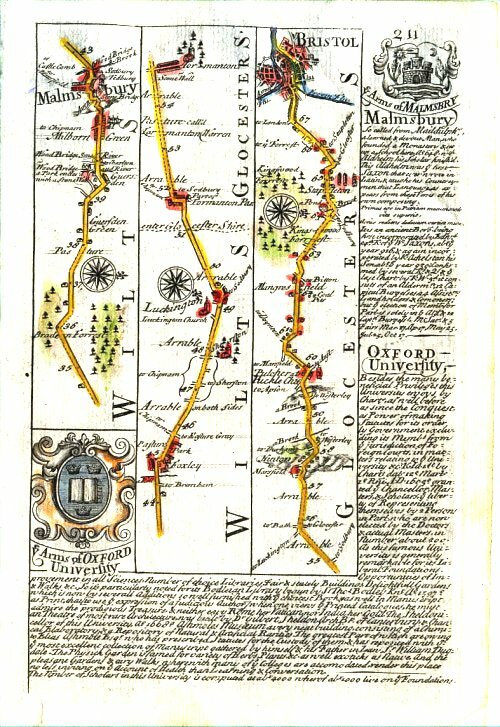 Reverse: the arms of the colleges of Oxford. 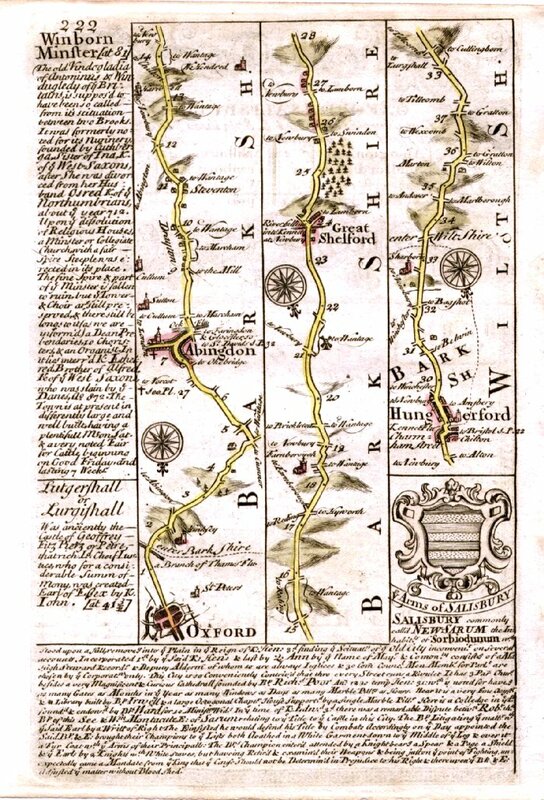 Reverse: continuation Dunstable to Stony Stratford. 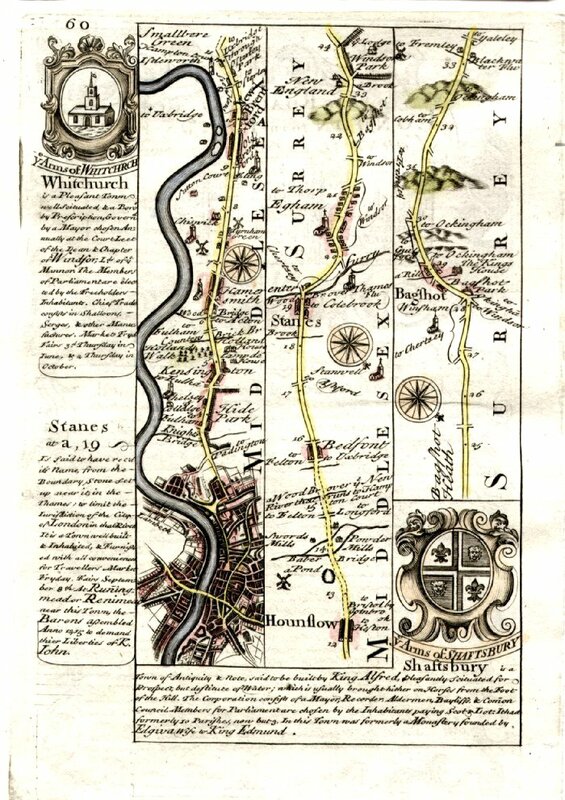 Featuring New Cross, Lewisham, Bromley, Sevenoaks. 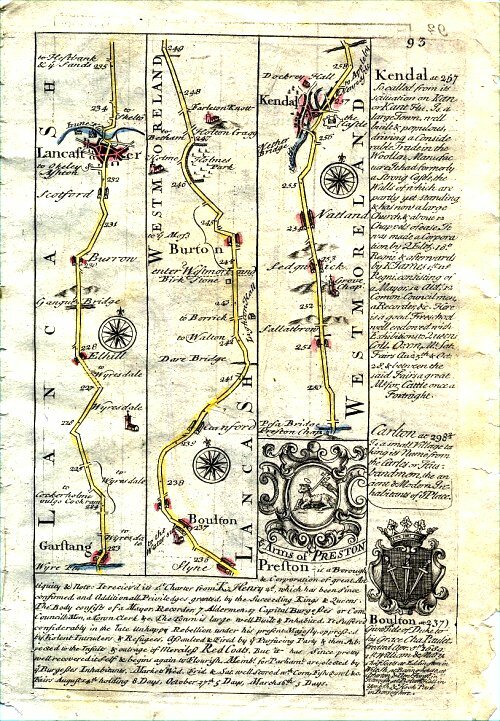 Road map - Lancaster to Kendal. 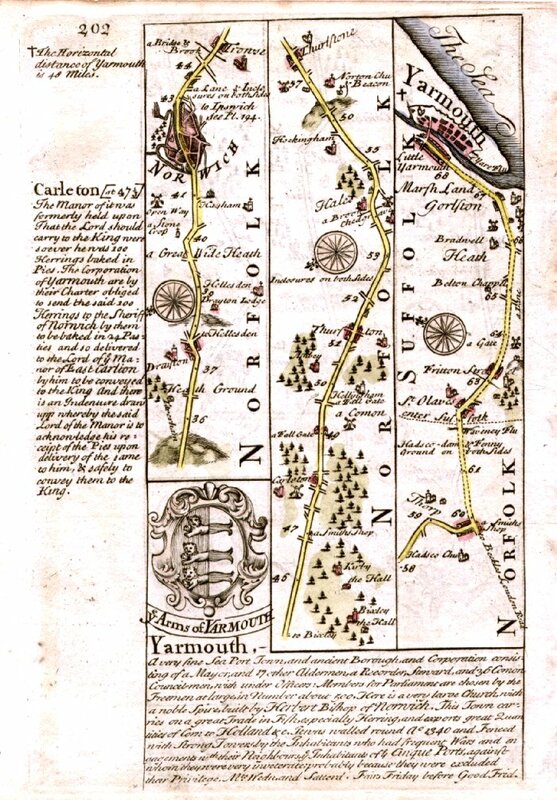 Reverse: description of Exeter (Devon).